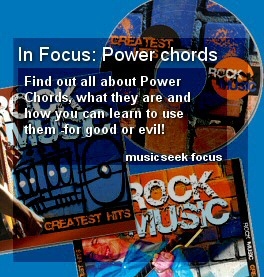 MusicSeek - This is Music! Our friends over at the Music Critic site have arranged an exclusive interview with Talitha Spencer, lead singer of new British band called Jynxt, to mark the release of their new single The Name. A possible break-through for this rock quintet, the single is their first commercial release. There is more bad news for lovers of Latin American music, as the postponed MTV Latin American music video awards has been cancelled. The music awards show was postponed in October just hours before its planned start at a beach theme park due to the arrival of Hurricane Wilma. High speed winds and torrential rains hit the coast and disrupted the original show plans, but until this point the organisers had hoped that this would be a postponement rather than cancellation. The MTV statement said: "A show of this magnitude and complexity requires a great deal of planning and many months to organise, making it impossible for us to accomplish in only six weeks." The Latin American music winners will instead be announced on a TV program. The broadcaster said it would still like to attempt to hold next year's event on Mexico's Caribbean coast if possible. Label: wea / warner bros. In partnership with Driving Schools UK learning to drive made easy.